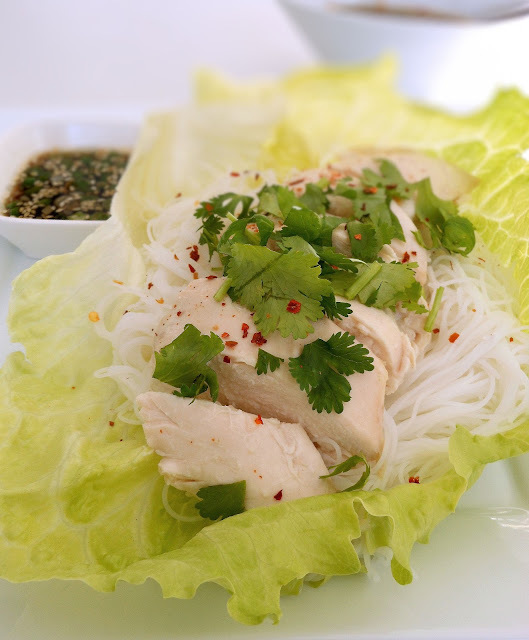 If you are looking for a light meal recipe, you may want to try this Asian poached chicken on rice vermicelli. The whole meal is in one dish, and does not need to be served hot. For the sauce, I like to sauté the garlic. It brings out the aroma and makes the dish flavorable. Bring a pot of water to a boil. 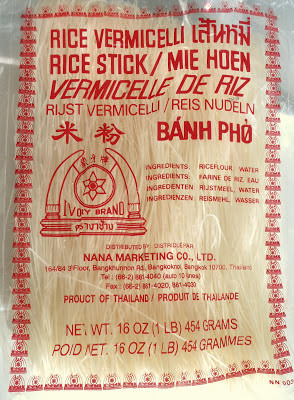 Add the rice vermicelli. Cook for 2 to 3 minutes or until soft over medium heat. Drain well. Set aside. Bring a pot of water to a boil over high heat - Enough water to cover the chicken breasts. Add pinch of salt. 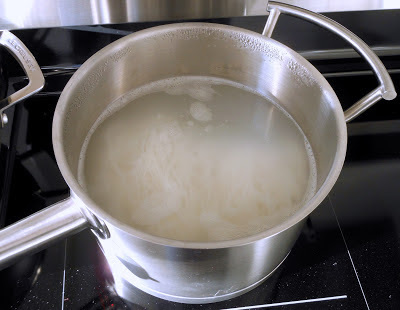 Put chicken breasts in the boiling water. Turn down the heat to low, cover and simmer the chicken breasts for 12 -15 minutes or until cooked through. Remove from the water. Set aside. 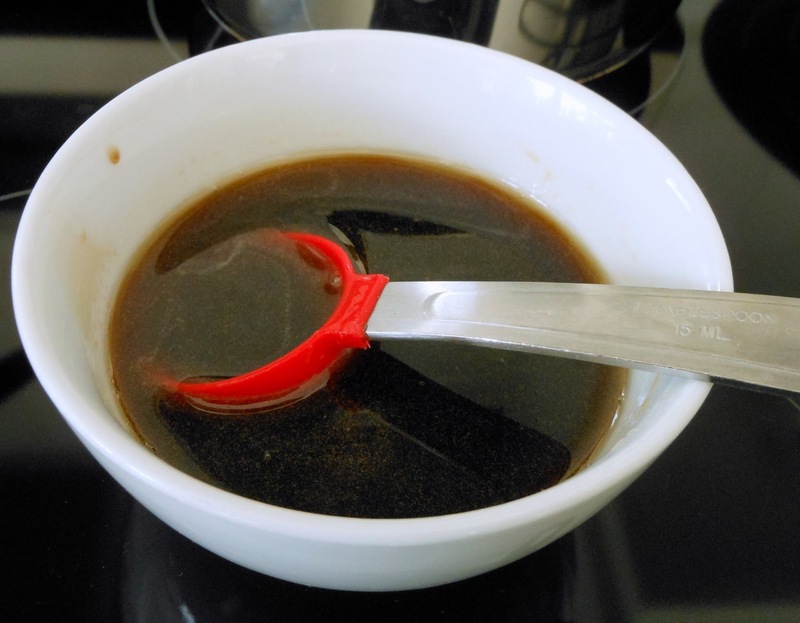 In a bowl, dissolve sugar in 5 tablespoons of boiling water. Add soy sauce, fish sauce, green onion, white sesame seeds, and sesame oil. Mix well. 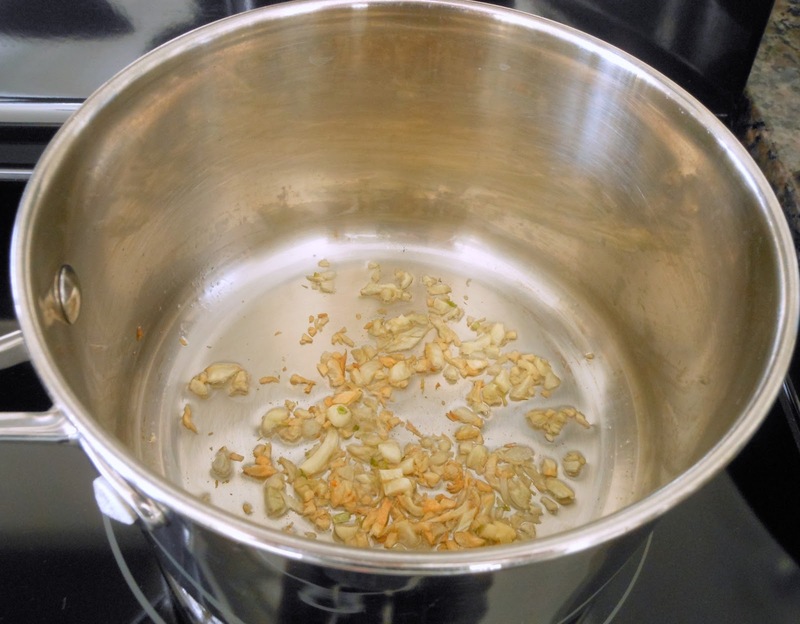 Heat the cooking oil in a saucepan and saute the garlic over medium low heat. Remove from heat when garlic is slightly browned. Add the soy sauce mixture to the garlic. Stir well. Place it in a serving bowl. To assemble, lay one leaf of iceberg lettuce on a serving plate. Arrange half of the rice vermicelli on top of the lettuce. Slice the chicken breast and place over top. Garnish with cilantro and sprinkle some chili flakes over. Serve with the sauce. 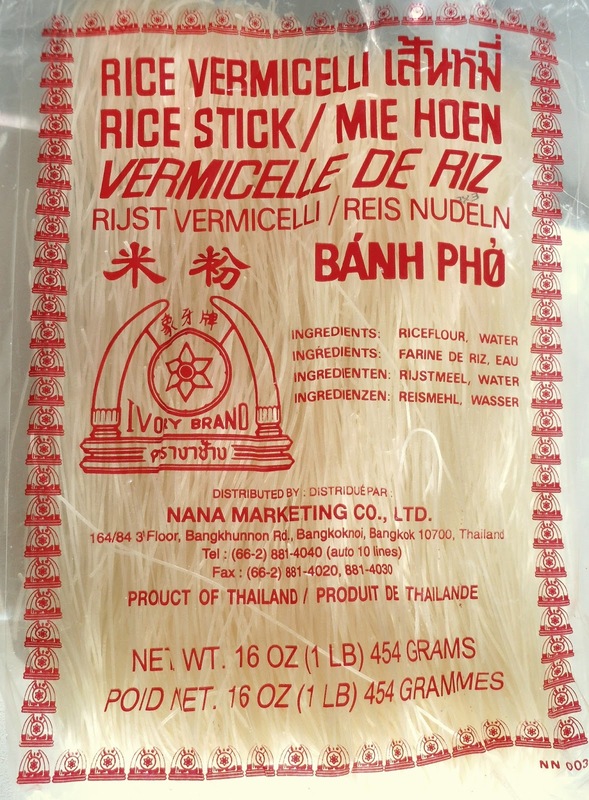 The rice vermicelli noodles that I used are from Thailand.